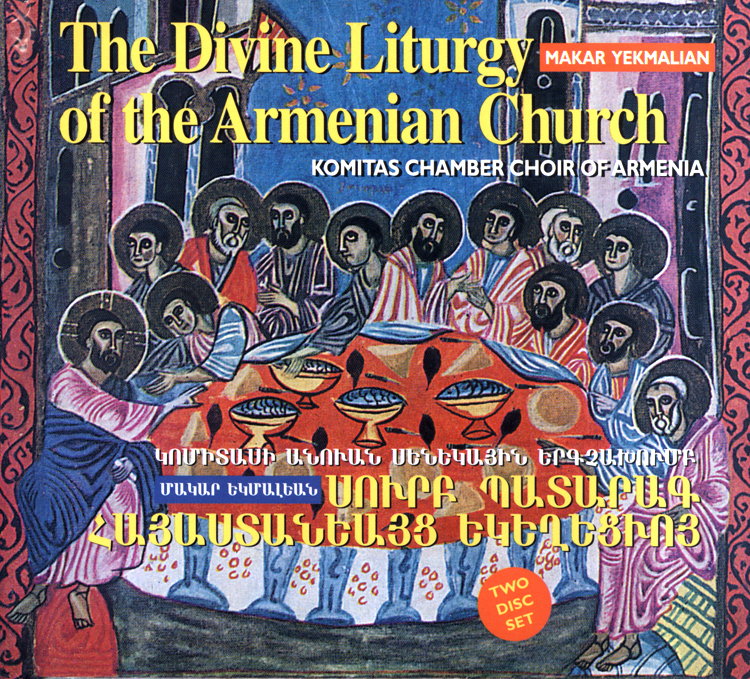 The Divine Liturgy of the Armenian Church is a double-CD set featuring the entire Sunday mass service of the Armenian Apostolic Church. Sung by the Komitas Chamber Choir of Armenia, under the musical direction Hovhannes Mirzoyan and Khoren Mekanejian, this CD will bring the badarak to life in your home. The CD also comes with an extensive booklet that explains the history behind the music and gives a translation of the service.